This is the final post on the initial proposed F# series that I had planned. That doesn’t mean there may not be more from me in the future but this will be the final one in the current batch. So what will this one be on? This one will be on type providers. Type providers are a fairly complex beast, and they certainly do not fit into a beginners space (at least not in my opinion), so we will be concentrating on using Type Providers and not how to create them (standing on the shoulders of giants if you like). An F# type provider is a component that provides types, properties, and methods for use in your program. Type providers are a significant part of F# 3.0 support for information-rich programming. The key to information-rich programming is to eliminate barriers to working with diverse information sources found on the Internet and in modern enterprise environments. One significant barrier to including a source of information into a program is the need to represent that information as types, properties, and methods for use in a programming language environment. Writing these types manually is very time-consuming and difficult to maintain. A common alternative is to use a code generator which adds files to your project; however, the conventional types of code generation do not integrate well into exploratory modes of programming supported by F# because the generated code must be replaced each time a service reference is adjusted. 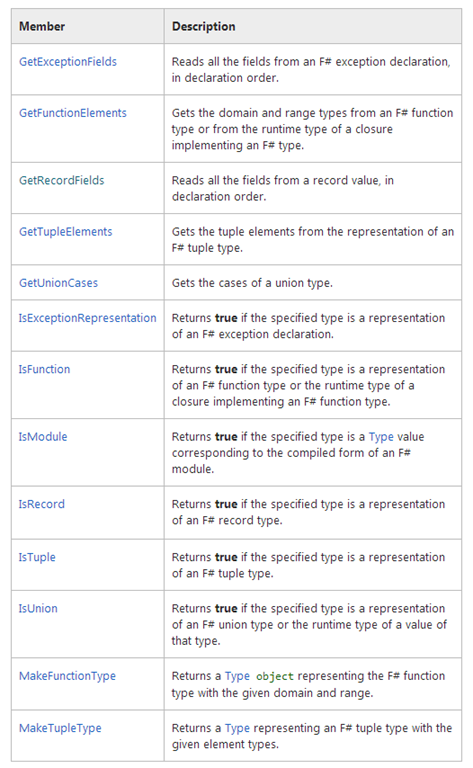 The types provided by F# type providers are usually based on external information sources. For example, an F# type provider for SQL will provide the types, properties, and methods you need to work directly with the tables of any SQL database you have access to. Similarly, a type provider for WSDL web services will provide the types, properties, and methods you need to work directly with any WSDL web service. 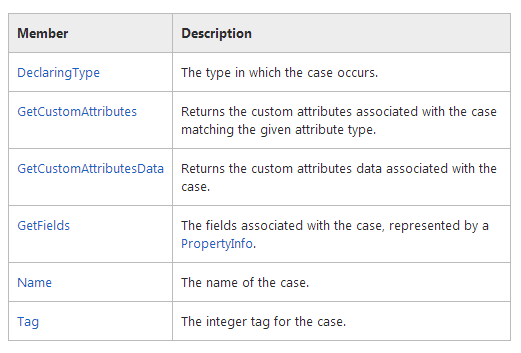 The set of types, properties, and methods provided by an F# type provider can depend on parameters given in program code. For example, a type provider can provide different types depending on a connection string or a service URL. In this way, the information space available by means of a connection string or URL is directly integrated into your program. A type provider can also ensure that groups of types are only expanded on demand; that is, they are expanded if the types are actually referenced by your program. This allows for the direct, on-demand integration of large-scale information spaces such as online data markets in a strongly typed way. or something, and get Intellisense (autocompletion) and tooltips (e.g. describing cell C4 as Salary for Bob) and static typing (e.g. have it be a double or a string or whatever it is). Essentially this gives you the tooling affordances of statically-typed object models with the ease-of-use leverage of various dynamic or code-generation systems, with some improvements on both. The ‘cost’ is that someone has to write the shim library (the ‘type provider’), but many such providers are very general (e.g. one that speaks OData or Excel or WMI or whatnot) and so a small handful of type provider libraries makes vast quantities of the world’s data available in your programming language with static typing and first-class tooling support. The architecture is an open compiler, where provider-authors implement a small interface that allows them to inject new names/types into the programming context. What is clear is that type providers must be doing a whole lot of work behind the scenes to create new types, which must be using something like Reflection.Emit to create new types based on initial metadata, at the compilation stage, which is pretty whack. F# 3.0 comes with a few standard Type providers, namely the following ones that have sample usages shown at the links below, I however will not be covering these particular type providers, as they al rely on external things(such as SQL server) that are a bit hard for me to demo in a blog post, and I wanted to show examples in this F# series that would allow users to kind of copy and paste the code I have posted here. So If you want to try out the type providers listed below you will have to follow the links which will take you to the relevant examples. You may have a need for another type provider, someone may have even written one for you, so it is worth doing a quick google search before you set off to write your own one. As I say there will be a multitude of type providers out there in the wild, so chances are there may be one doing what you need. In this post I will be concentrating on 2 type providers found in the F# data library that I just mentioned. I will not be covering all of the functions of these type providers, as the original authors have some great documentation on them anyway. Here is a simple example that shows how to use the type provider to parse some Xml. Here is another example to a CSV file this time. I think type provider are pretty crazy, and do a lot of good work behind the scenes, I hope you too can see the value of them, and explore what is out there, and give them a try. Like I say this is the final post in this series, and my it’s been quite the ride for me, I just hope you guys/gals also enjoyed it. I would love to know actually, I got a bit of feedback along the way, but it would be nice to know if people have enjoyed this series, and whether it hit the mark or not. So if you feel inclined to leave me a comment, or want to buy me a virtual beer, I would love to hear about that. I also accept travellers cheques, free holidays and Lego for my kid. He likes fire engines. In this post we will examine how F# can be used to do various tasks that you may have commonly use C#/VB.NET for. 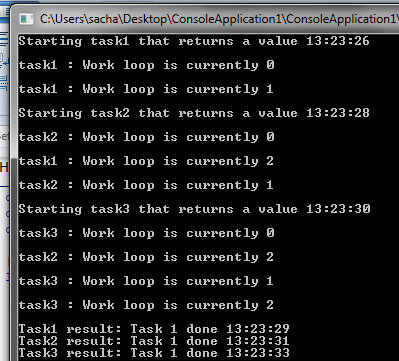 It will also show how to interop between F#/C# and vice versa. I have already shown some of the content here in previous posts, so apologies for that in advance. 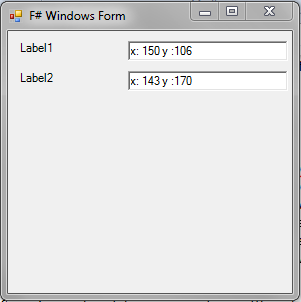 In F# you MUST create a simple .xaml file which is best made by adding a new Text file to your F# project and then renaming it. You MUST then load the XAML up the XamlReader.Load to create a Window. | _ -> invalidOp "Expecting property getter expression"
let mutable message = "Yo I am from the ViewModel"
let mutable currentItem = ""
It should come as no surprise that F# can call a method created in a C# dll. Here is some demo code that proves this. Likewise it should come as no surprise that C# can call a method created in a F# dll. Here is some demo code that proves this. As some of you may know there has long been a way to call native Dlls. Native Dlls are the ones that come with Windows. This technique of calling native Dlls is known as Platform Invoke (or PInvoke for short). It is quite useful occasionally and can get you out of some funny little scrapes at time. As far as I recall it has support all the way back to VB6 (may be even earlier). 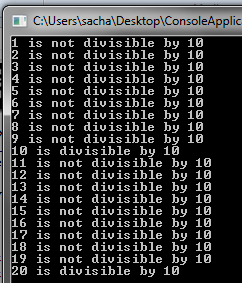 The problem with calling PInvoke methods is that you are then tying yourself well and truly to ONLY being able to run your code on Windows, as this is the only place the native Dlls exist that you are calling. That said I still think it is good to cover this technique. I have deliberately chosen a very simple native function to call, as some of the PInvoke signatures can get a little hairy. 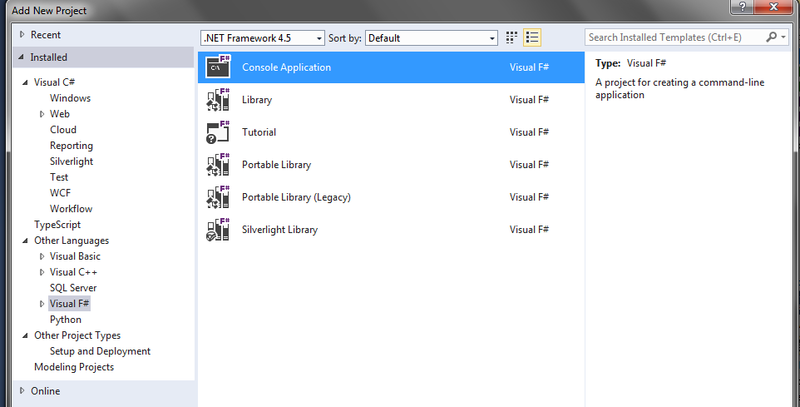 And here is the same Native code using F#, where we have placed the code within a module. There are some subtle differences between the C# code and the F# code, this is all explained in the comments within the code block below. The PInvoke.net is still a very good starting place when you want to use some PInvoke in F#. Last time we looked at the Async class, and examined some of its core functions. 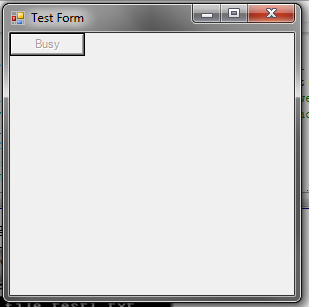 This time we will be looking at using some Task Parallel Library (TPL) classes, namely Task<T>, and Task. We will also examine how the Async module can be used in conjunction with TPL. In TPL there are several trigger values that cause the Task<T> to be observed. Things like Wait / WaitAll / Result will also cause the tasks to be observed. These are however blocking operations that suspend the calling thread. 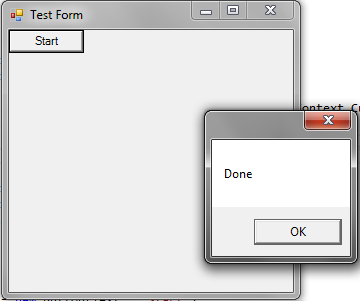 In this simple example we will show how to create a simple Task<T> that returns a boolean. We will the use the blocking Task<T>.Wait() method, to obtain the result of the Task<T>, which will be a boolean in this case. We could also do this another way too which would yield the same results. We could use a continuation from the original Task<T> that is run when the original task runs to completion. Think of continuations as callbacks. Here is the code rewritten to use a continuation, remember you can have a single callback for the whole original task, or hook up specific ones for particular scenarios, which is what I have done here. Another thing you might find yourself wanting to do is a use a TPL Task. That is a Task that does not return a value, basically you have Task<T> which is a task that returns T, and Task (essentially Task void, or Task<Unit> in F# lingo), which is a task that doesn’t return a value. Task may still be waited on in C# land, but there seems to be less you can do with a standard Task (one that doesn’t return a value) in F#. There however a few tricks you can do, the first one requires a bit of insight into multi threading anyway, which is that Task, and Task<T> for that matter both implement IAsyncResult, which is something you can wait on inside of a F# async workflow, by using Async.AwaitIAsyncResult. Here is a small example, of how you can wait on a plain Task. This example also demonstrates how you can extend the Async module to include your own user specified functions. That is pretty cool actually, C# allows extension methods (which F# also allows), but being able to just add arbitrary functions is very cool. To wait for multiple Task<T> you can use TPLs Task.WhenAll() for this, which will give you an aggregated result task, which will have a result object which contains the results from the original tasks you used in the Task.WaitAll() call. There may well be a way that you can bend the Async.Parallel() to do the same job, but to my mind using Task.WhenAll() is by far the easiest way. printfn "Task1 result: %O\r\nTask2 result: %O\r\nTask3 result: %O"
Last time we looked at reactive programming, and this time we will look at a very cool feature of F# which is called asynchronous workflows. 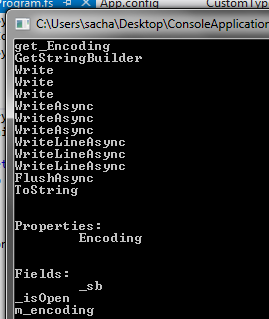 It is fair to say that the new Async-Await syntax bears more than a passing resemblance to F# async workflows. Async workflows offer a easy way to write asynchronous code in F# that perform some background task, and have a lot of helper functions to manage them using the Async class. In this small example, we create a Timer, and then using the Async class’s Async.AwaitEvent(..), which will return a Async<T>. This essentially created a thread pool thread to do the work, and then we carry on, and do some more stuff, and finally we use Async.RunSynchronously to await the original Async<T> created by the Async.AwaitEvent(..) call. 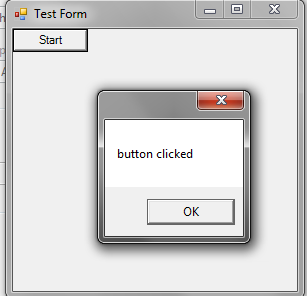 printfn "Writing to file test1.txt." // to be completed before reading. printfn "Reading from file test1.txt." // Now open the same file for reading. This example did introduce a bit too much syntax, but we are just about to look into this so I hope you can forgive me that slight indulgence. As well as the inbuilt functions of the Async class, you can also manually create your own async workflows. Async workflows generally follow this syntax when created manually. Using this syntax, the expression is some computation that will run asynchronously. This means it will not block the current computation/thread. The type of the expression is Async<‘a>. There are many different ways of creating asynchronous code in F#, and you may use any of the types/functions which are available . The Async class is the best place to start. F# async workflows allow synchronous and asynchronous operations to be used within the same workflow. They also come with their own set of syntax that can be used in the construction of workflows. Using thee following keywords (be careful though they are quite similar to the non async versions that you have already seen), you are able to create complete workflows, which may/may not contain a mixture of async code and synchronous code. The object is disposed of at the close of the current scope. You may also nest workflows, which means that you may manually create or trigger async workflows from within workflows (kind of like inception, if you have seen it). Anyway here is an example of that, where we create a child workflow using our previous timer example, and then have a parent workflow use this child workflow. You may also use the standard TPL type of cancellation to cancel an async workfow. That is one where you use a CancellationTokenSource to provide a CancellationToken to the async workflow, which you may then use to cancel the work flow with. Here is some code that demonstrates this technique. One thing that struck me as very odd is that if I was using C# I would still be able to know about a cancelled Task in TPL land, by wait of a continuation that only runs on Cancelled State, or I could use a Wait with a Try-Catch which caught AggregateException (much like the sample shown above), and using async/await it is even easier. His code is complex and probably not best suited to a beginners guide, but it is worth looking at if that is what you are after. In this post we will look at using a reactive programming paradigm within F#. There may be some of you that have used the Reactive Extensions (Rx), I am in fact a massive fan boy of Rx, and really enjoy what it can bring to a project, in particular I think a UI project benefits immensely from a more reactive approach. There may of course be those of you that have never come across Rx at all. So lets take a very small detour and talk about the general idea of the observer pattern. Lets say I have order system that should print invoices and also send emails to a client when a new order is received. A naive implementation of this may be to just lump all this into a single class, but this is a poor separation of concerns, we could do better. So what we could do, is to have a order system object which receives orders and then calls into 2 other classes that produce a invoice and send an email to a client. This is ok, but we would now have to take a strong dependency on the 2 sub systems from the order system class, and then call them when a new order arrives. Wouldn’t it be better if the order system class could just accept a list of subscribers (say implementing some IAcceptOrder interface), and then any time a new order arrives the order system class would simply loop through its list of subscribers and call their AcceptOrder method (from the hypothetical IAcceptOrder interface). This is essence is the observer pattern, of course this pattern could also allow unsubscribing too. Rx has built upon the general idea of the observer pattern, and has added a great many standard .NET classes that aid in the construction of observable streams of data. 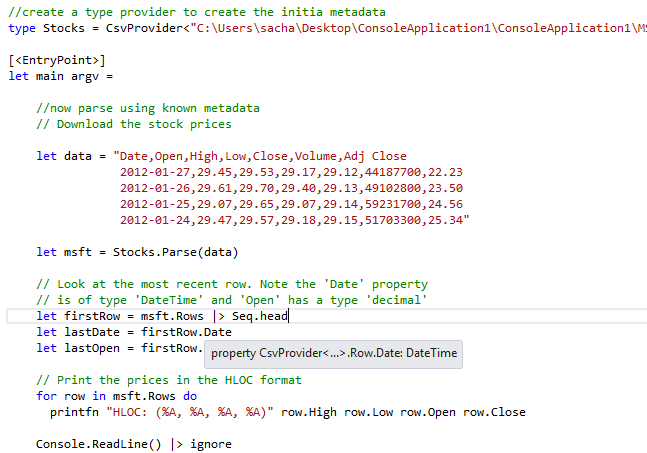 You can also use subscriptions over events, asynchronous operations, and also use the standard LINQ operators. So that is what Rx gives you. F# also comes with a Control.Observable /Control.Event modules which contains many types that can be used to create reactive code The types and functions in this module mirror some of the functionality found in the Rx classes (see http://msdn.microsoft.com/en-us/library/system.reactive.linq.observable(v=vs.103).aspx). This article is however about F#, so we will be keeping the discussion from here on out about the F# Observable modules. We will be seeing some examples of these is just a minute, but before we do it is worth just going on another slight detour. So lets just get the slight detour over with before we start to look at the Observable module in depth. The F# team (Don Syme I guess here), have exposed some (though not all) of the Rx goodness in F# so it is important to understand some of the reasons why IObservable<T> is so useful. This is cool for sure, but the real power of IObservable is that you can use it against your own events/properties too, so lets wrap up this post by looking at an example where we create our own event source, and look at a few more of the Observable module functions. AuthorisationLevel : Which uses a empty discriminating union type called “DiscountApprovalLevel”. Ok so we just wrapped up the final dedicated chunk of the main F# areas, where we looked at OO Programming in F#. These last couple of articles will be miscellaneous ones that I could no really find a home for. This one in particular will be on Active Patterns. Active pattern allow you to define a pattern that may be used to subdivide the input data, so that you may use regular pattern matching. You can think of active patterns as a way to decompose data in a custom manner to suit your current needs. // Complete active pattern definition. // Partial active pattern definition. You may have one or ore identifiers, and you may have complete or partial active patterns. A complete one will need to match the entire input, whilst a partial one is a partially applied pattern that will match only when applied with the rest of the input data. We will be examining the difference between complete active patterns and partial active patterns in this post, so have no fear. Here is a very simple complete active pattern that simply examines an input value, and if the input value is > some threshold, will return one active pattern identifier, otherwise another. The active pattern identifiers are YOUR choice you would pick them to fit your domain. Sometimes what you need is to only match part of the input, luckily F# also allows for this by way of partial active patterns. Partial active patterns do not always produce a result, and as such it is quite common to see them return Option types (Some X, None). To define a partial active pattern, you use a wildcard character (_) at the end of the list of patterns inside the banana clips. This is shown below. NOTE : I hate Regular Expressions, and I once read a post that said if you use Regular Expressions to fix a problem, you now have 2 problems, which I could not agree with more. This time we will wrap up the OO leg of our F# journey, by looking into using reflection. Before we start, I just want to point out that some of the examples that I will use here are either modified versions of some examples, or are actual examples by the fabulous Chris Sells, from his amazing “Programming F# 3.0 book”, which I can thoroughly recommend. In the start of that book it states that you are free to use small portions of the code without permission, I considered what I have taken to be a very small portion. Chris has quite nicely shared all the code from the book on his blog, and it contains some real gems, I would urge you to check it out. As F# is a member of the .NET family, we are of course to use many of the standard reflection APIs that you have undoubtedly used in your day to day C# lives. However F# also provides extra functions/types and helpers that may be used to deal with F# types. We will look at this F# specific stuff later on within this post. typedefof<..> gives a type definition of a static type. These obviously assist the F# compiler, but attributes can be used to do more than this, they can also provide meta data to your own application, and you can reflect on them at run time to see if a type supports certain things/contains certain meta data / control how object are serialized, there are in fact a lot of use cases for attributes. So it should come as no surprise that you should learn how to make your own attributes in F#. Thankfully this is trivial, we will just build on our new formed OO knowledge and inherit from attribute, and create a new custom attribute. As you can see this is a new attribute which may only target classes, and will be used to describe a class. |> Array.fold (fun desc meth -> desc + sprintf "%s\r\n" meth.Name) ""
|> Array.fold (fun desc prop -> desc + sprintf "%s\r\n" prop.Name) ""
|> Array.fold (fun desc field -> desc + sprintf "%s\r\n" field.Name) ""
/// attributes is available at run-time. | None       -> "(no description provided)"
To get and set a property value is also trivial, we can just get a property using the standard System.Reflection namespace and then use the GetValue(..) and SetValue(..) methods exposed by the CLR. // Get a property value. Notice that the return type is generic. // Set a property value. What we have discussed so far has been how to leverage the existing .NET reflection namespace, which is totally fine, but what does F# have to offer us by way of reflection APIs. printfn "GetRecordFields(aRecord, BindingFlags.Public) = %A"
printfn "GetUnionFields(aDiscrimatingUnion1, aDiscrimatingUnion2.GetType()) = %A"
printfn "GetUnionFields(aDiscrimatingUnion2, aDiscrimatingUnion2.GetType()) = %A"